The common definition of a successful business in today’s competitive market is that it should have a dynamism and the readiness or adaptability to change with the changing trends of business. While the rapid innovation in technology contributes to changing the scene of business dramatically, enterprisers have now started to focus on more innovative strategies of customer engagement. Today sky is the limit for the worldwide mobile users using the internet technology on their mobile phones and businesspersons from different backgrounds are looking to exploit the services of reputable mobile app development companies to help them capitalize on their potential. At BroadNet Technologies , we are very well aware of the different needs of different businesses and custom mobile app development is one of the domains we excel in. So if you are looking for groundbreaking and customized mobile applications, BroadNet Technologies is the company you can count on unwaveringly. Why choose our mobile application development services? 1. We only employ cutting-edge technology for customized mobile app development services for ensuring the best results. 2. The thorough testing we do, guarantees that your apps are trouble-free to use and all the way secure. 4. We offer end-to-end mobile app development services; irrespective of where you are along the line since it fits your app development needs. We offer the top-notch 24/7 customer support service. 5. Our knowledgeable team of developers works on individual projects and with that said, you can keep your fingers crossed that your app gets the attention it deserves. 6. Whether it is Android, BlackBerry, iOS or Windows mobile application development, the way we develop mobile apps at BroadNet Technologies delivers singular and custom-made mobile app solutions across diverse platforms. 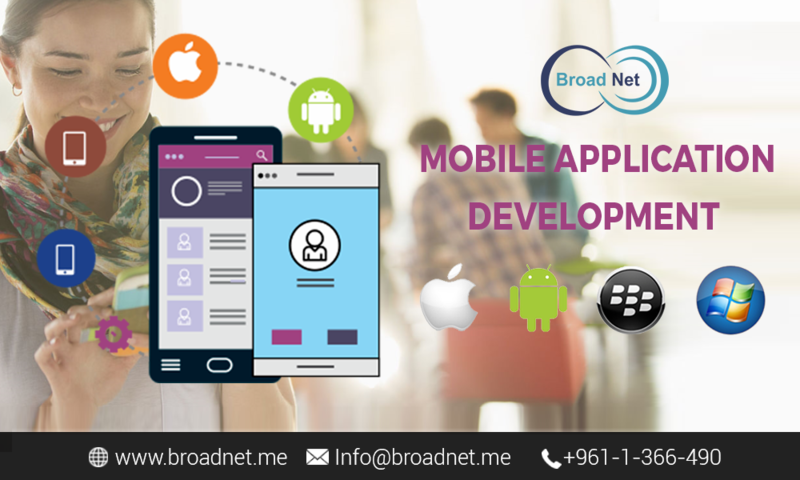 So if you are searching for a well-thought-of mobile application development company Lebanon, look no further than BroadNet Technologies.